Elizabeth Warren was a fresh-faced 29-year-old who had just finished a grueling day of interviews for her first major job in academia when her prospective colleagues, all men, took her to dinner at a Houston steakhouse. One of the senior professors, a polio survivor who used a wheelchair and was infamous for needling young recruits, ordered a giant slab of meat. When it arrived, he pushed the plate in front of Warren. Warren pushed the plate right back at him. “I thought you knew that when you ordered the steak,” she said, according to a colleague, John Mixon. The tough professor roared with laughter, and Warren got the job, as an assistant professor at the University of Houston Law Center in 1978. Her deft and cutting response illustrates that, years before she became famous for taking on credit card companies and Wall Street bankers, Warren was poking at those in power, often in ways that tested the boundaries between bold and barbed. Over the next 17 years, she would ascend to the pinnacle of her profession, shattering the tradition that the nation’s elite law schools hire professors groomed at those very same schools. For years, Warren’s law degree from Rutgers University made her the only tenured Harvard Law School professor trained at an American public law school. “Growing up in rural Oklahoma and going to not-the-best schools and becoming successful -- the odds are all against that happening,” said Richard M. Alderman, a Houston law professor who was initially skeptical of Warren’s credentials. Her unorthodox career trajectory has been scrutinized since she became a candidate for Senate, particularly after the revelation that for years she had listed herself as a Native American in a professional directory often used by law school recruiters. Critics insinuated that she must have leveraged her self-professed heritage to advance her career in the 1980s and 1990s when law schools were under pressure to diversify. However, in two dozen interviews with the Globe, a wide range of professors and administrators who recruited or worked with Warren said her ethnic background played no role in her hiring. 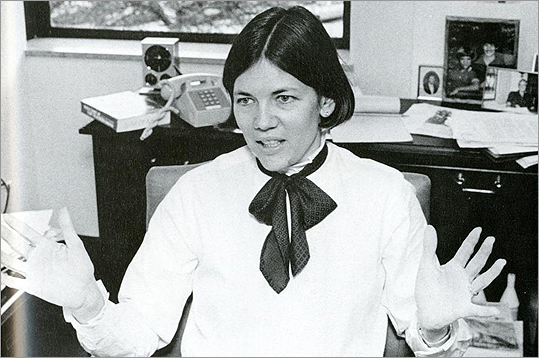 Instead, they said, Warren rose through the mostly male, intensely political world of academia on the strength of her unbridled — to some, off-putting — ambition as well as groundbreaking research that brought her national attention and grant money. Her ability to distill complex concepts into simple ideas and her intense connection to her students brought her student-nominated teaching awards at four of the five law schools where she taught. Behind the scenes, some of her peers bristled at her ascent, viewing her as smart and capable but also as a climber with sharp elbows. And while Warren aligned herself with economic underdogs in her research, she was not viewed as a champion of women or minorities at the law schools where she taught. Silent on the race and gender wars that divided campuses in the 1980s and 1990s, she was never a liberal crusader. She was not even a liberal. She was a registered Republican as recently as 1996. Warren came to the law in a roundabout way. Married at 19, she worked as a speech pathologist in a New Jersey elementary school before heading to Rutgers Law. She graduated in 1976, when she was 27 and pregnant with her second child. She opened a small private law practice in Rockaway, N.J., then took a job as a lecturer at Rutgers. In 1978, she and her first husband, Jim Warren, moved with their two young children to Houston when he landed a job at NASA. When Warren went to work at the University of Houston, the remnants of the protest era of the 1970s still permeated the campus. But Warren could be remarkably straitlaced in her views. Mixon, the Houston professor, who often had lunch with Warren and became an early mentor, recalled how Warren made an impassioned speech not long after she was hired about her belief in the “middle-class values” of hard work and honesty. Celebrating bourgeois values, he said, wasn’t something most law professors did at the time. Warren taught unglamorous classes on legal writing and contracts to first-year students and was a student favorite. She attended regular student-faculty mixers known on campus as “arbitrations,” and became an associate dean in charge of student affairs. Students recalled that she had a porch swing in her office, where she would sit with them and offer advice. Mixon recalled that when he mentioned that his wife is part Choctaw, Warren said she had some Native American ancestry, too. But like others who worked with Warren, he rejected the notion that her claims of Native American heritage helped her career. “She made her bones on the basis of her own talent and hard work,” he said. As Warren’s career took root, however, her marriage was unraveling. The Oklahoma teenager Jim Warren had married had turned into a hard-charging professor whose priorities, she said, did not include having a home-cooked dinner on the table each night. The couple separated in 1979 and divorced in 1980, with Warren taking primary custody and care of their 8-year-old daughter, Amelia, and 3-year-old son, Alex, for all but two weekends of each month. Six months later, she married Bruce Mann, a legal historian at the University of Connecticut. The two had met at a law conference and it was “instant togetherness,” one former colleague recalled. Mann soon joined Warren, as a visiting professor in Houston. But Warren was growing restless at a university without much national clout. In 1983, she was recruited by the University of Texas Law School at Austin — a more prestigious school, where she began the work that would define her academic and political careers and transform her from a little-known professor into a prominent voice on consumer protection and bankruptcy issues. The catalyst was her introduction to Jay Westbrook, a Texas bankruptcy professor with whom she would write some of her most influential books. Congress had rewritten the bankruptcy code in 1978, and she and Westbrook wanted to know how the code was affecting average families. Eschewing high-minded theory for ground-level analysis, they worked with Teresa Sullivan, a sociologist with a background in statistics, to examine who was filing for bankruptcy and why. Backed by a National Science Foundation grant, they pored through district court records and interviewed bankruptcy judges and debtors. Their findings upended conventional notions, showing that people who filed for bankruptcy weren’t necessarily lazy or profligate, but were often middle-class workers whose finances were sunk by a single catastrophic event, like a heart attack, divorce, or layoff. Warren was at the vanguard of a burgeoning school of legal thought, the empiricist movement, which held that bankruptcy and other aspects of the law can be understood only through an examination of their impact on peoples’ lives, not just with theoretical principles. She established herself as a singular voice in the movement in 1987 when she challenged Douglas G. Baird, a University of Chicago Law School professor and defender of the theoretical model, to a debate. The two traded drafts of their papers — his rooted in theory, hers in case studies — and submitted them jointly for publication in the prestigious University of Chicago Law Review. Warren’s paper panned the “law and economics” school that Baird represented, saying it was for being seductively oversimplified, an abstract theory with no grounding in reality. Two years later, in 1989, Warren gained even more attention when she turned her bankruptcy research into her first book, “As We Forgive Our Debtors,” co-written with Westbrook and Sullivan, who is now the president of the University of Virginia. It won the Silver Gavel Award, a major prize, from the American Bar Association. Suddenly, Warren was being sought as an authority on bankruptcy, and as an unusually charismatic speaker in an otherwise dry field. “She has a real gift for sound bites and homey, colorful metaphors,” said David A. Skeel Jr., a University of Pennsylvania bankruptcy law professor. But just as Warren’s public profile was rising, her reputation would be threatened by a serious charge leveled by Philip Shuchman, a Rutgers bankruptcy professor. Writing in the Rutgers Law Review in 1990, he accused Sullivan, Warren, and Westbrook of “repeated instances of scientific misconduct,” for failing to make their raw data available to him so he could replicate their findings and verify their accuracy, a standard procedure in the academic world. In his review and in a 60-page complaint to the National Science Foundation, he also alleged that the authors exaggerated the originality of their work by failing to credit others. Shuchman’s charges were grave, akin to academic fraud, and prompted the University of Texas and National Science Foundation to launch investigations. Warren and her collaborators told investigators that they had offered Shuchman a complete list of the cases they sampled, but without the debtors’ names and court file numbers, since that information was never entered into their database. They said they had an agreement with the National Science Foundation to exclude such information, to protect the debtors’ privacy. Sullivan also said they credited Shuchman in their book, calling him a “pioneer” in the field of bankruptcy research, but did not cite much of his work because it was unsupported by data, disproved by other studies, or wrong. Shuchman’s charges were dismissed by both the university and the National Science Foundation. The University of Texas’s investigation determined that Warren and her coauthors did not engage in scientific misconduct and “their behavior demonstrates the highest ethical standards.” The National Science Foundation also found there was no misconduct and said Shuchman’s complaints amounted to the kind of scholarly dispute best handled in academic journals. Shuchman died in 2004. In 1987, Warren was hired by the University of Pennsylvania Law School, which offered her and her husband positions with more prestige and better pay. Stephen B. Burbank, a Penn Law professor, said he, too, was unaware of Warren’s heritage when he recommended her to the university in 1985, after they met during visiting professorships at the University of Michigan. Robert H. Mundheim, the dean who hired Warren at Penn, laughed when asked whether he thought of her as a minority. At the time, elite East Coast law schools were facing protests from minority students and activists who wanted them to diversify their faculty. But they were not on the lookout for Native American scholars, said Colin S. Diver, who succeeded Mundheim as dean at Penn Law during Warren’s time there. In a recent interview, Warren declined to authorize Harvard and Penn to release her personnel records from the private universities where she taught. Her opponent, Senator Scott Brown, has requested that she do so, to satisfy questions about whether race played any role in her hiring. The records, she said, are not what defined her as an academic. When Warren arrived at Penn, she was a rising star on a campus whose reputation had dimmed. Having lost professors and prestige, the school was trying to recruit superstars and Warren, by now a nationally recognized bankruptcy scholar, was the first coup. With her came her husband, Mann, a well-regarded legal historian, and a mission to recruit additional serious scholars. To some on the faculty, improving Penn’s reputation meant diluting the influence of liberal ideologues who they believed were coming to dominate the law school. At the time, a number of professors at Penn and elsewhere were focused on critical legal studies, a discipline that views the law through the lens of social justice, race and gender. Warren quickly rose to become head of Penn’s appointments committee, a position that put her at the center of that struggle. Once there, she sided decisively with those who wanted to recruit more hard-nosed scholars. The woman who had arrived in Houston a decade earlier with a thin resume proved a rigorous and outspoken judge of her prospective colleagues. She interviewed candidates, scrutinized their scholarship, and spoke out forcefully in faculty meetings on tenure decisions. At the same time she was fighting within the administration to recruit prominent academics, Warren stayed publicly silent on one of the most polarizing issues of her first year at Penn — the denial of tenure to a popular feminist legal philosopher, which inspired petitions and protests by law school students. Supporters of Drucilla Cornell argued she had been snubbed because of her gender and feminist views. Her detractors dismissed her research as thin. In recent interviews, students who had advocated for Cornell said Warren was among the influential voices who had actively opposed her, aligning herself with the administrative establishment. Several female law students from that era said they considered Warren “mainstream” and “conservative.” Cornell ultimately sued the law school for gender discrimination and won a settlement. At the time, Warren was one of only three women with tenure on the faculty. “She was not a rabble-rouser,” said Alix James, the chief executive of a Pennsylvania manufacturing company who graduated from Penn Law in 1988. Warren told the Globe that she did not work against Cornell. But she refused to say how she voted when the faculty had to decide whether to grant Cornell tenure. Warren argued that she wanted to devote her energy to bankruptcy research and avoided campus crusades over minorities and women. “I just wasn’t involved,” she said. “I’m not saying they weren’t important. They were. There were people who were pouring lots of blood, sweat, and tears into them. But not enough people were pouring blood, sweat, and tears into this issue,” she said, referring to bankruptcy studies. Her determination to stay focused on her career led her to sidestep another liberal cause in the early 1990s. Warren had agreed to speak on a panel in Colorado, a state that academics were boycotting to protest a 1992 referendum opposing gay rights. Baird, the Chicago professor, was also scheduled to speak on the panel and he expressed some misgivings about going forward with the event. Warren told Baird that she too had concerns and had privately tried to persuade the federal judges who were organizing the event to relocate. But when they refused, she said she felt obligated to keep her commitment and persuaded Baird to go with her. “At least in academic circles, going to Colorado was not regarded as the politically correct thing to do,” Baird said. In some ways, her reluctance to join the liberal professors in protest was not surprising. Warren was a registered Republican from 1991 to 1996, according to voter registration records in Montgomery County, Pennsylvania. Her husband was registered as an independent there. In an interview, Warren refused to say if she voted for Ronald Reagan in 1980 and 1984, or detail any of her voting history. Asked why she become a Democrat in 1996, Warren hesitated. In 1992, five years into her tenure at Penn, Warren accepted an offer to teach for a year at Harvard, as a visiting faculty member. But when the university offered her a full-time position the following year, the professor known for her boundless ambition turned it down. She told the Globe in 2009 that she found Harvard to be a “hostile environment” for women. But in a recent interview, Warren downplayed that concern, saying instead that she declined the job because her husband wasn’t offered one, too. In 1995 Warren finally accepted a full-time position at Harvard. Even then, Mann stayed at Penn. It would be more than a decade before he was given an offer to join her, and another two years before the Wall Street crisis would bring Warren to national notice and make her something close to a household name. Michael Levenson can be reached at mlevenson­@globe.com. Follow him on Twitter @mlevenson. Stephanie Ebbert can be reached at ebbert@globe.com. Follow her on Twitter @stephanieebbert.